JPR Williams is a Welsh Rugby Legend. 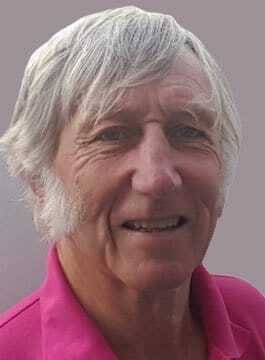 Destined for sporting greatness, JPR Williams showed initial promise as a tennis player, beating David Lloyd at the age of seventeen to win Junior Wimbledon, but in 1968 decided to abandon any plan of becoming a professional tennis player in order to combine a medical career with amateur rugby. In 1968, JPR Williams was selected for the Welsh rugby tour of Argentina, and this marked the beginning of his rugby adventure. He gained his first cap for Wales in 1969, aged 19. He went on to earn 55 caps for Wales and 8 for the British Lions. JPR was a key player in the Welsh side between 1969 and 1981, winning the Grand Slams in 1971, 1976, and 1978, 6 Triple Crowns and 6 Five Nations Championships. John Peter Rhys Williams is remembered for his playing skill against England; in 10 tests between Wales and England he scored five tries and was never on the losing side. As a British Lion, he was a member of the team which won the 1971 series against New Zealand and the 1974 series against South Africa. JPR retired from international rugby union in 1981 and continued his career as an orthopaedic surgeon. However, his love of rugby was so strong that he was unable to tear himself away from the game, and played amateur rugby well into his fifties with Tondu, the Welsh junior side. Renowned for his power and bravery on the pitch, JPR Williams is a hero to the Welsh and a respected icon of the rugby world.